The ninth annual CMT Music Awards are set for Wednesday, June 9, 2010 at Nashville’s Bridgestone Arena. The show is open to the public and will air on CMT and CMT.com. The first round of nominations will be announced on Monday, April 5, with host and performance details to be revealed at a later date. CMT’s awards show usually draws an all-star list of performers who are in town for the CMA Music Festival, running June 10-13. Fans can get more information via Twitter (@FollowCMT) or by becoming a fan of the CMT Music Awards on Facebook. Tickets to the show go on sale Saturday, April 10 at all Ticketmaster outlets and the Bridgestone Arena Box Office. 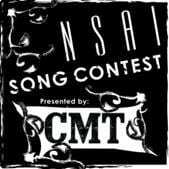 CMT also partnered with the Nashville Songwriters Association International (NSAI) for the 10th Annual NSAI Song Contest Presented by CMT. Industry judges selected “I Am Wordless,” written by Tonya Poe of Pittsburg, KS; David Garcia of Tampa, FL; and Wayne Smotherman of Nashville; as the Grand Prize Winner. Poe also co-wrote “Too Close To Sunday Mornings,” submitted by Gerry Grothues of Belleville, WI, which earned the CMT Listeners’ Choice Award after receiving a majority of the 450,000 online votes cast this year. This is the first time a writer has garnered top honors in both the industry and fan-voted categories in the same year. As part of the prize package, Poe and her co-writers will perform their winning song during Tin Pan South. They will open for Rhett Akins, Scooter Carusoe, Brandon Heath and Lee Thomas Miller at Douglas Corner Cafe on Tuesday, March 30, at 9:00 p.m. The Grand Prize package also includes a mentoring session with Jewel, a single-song publishing contract with a major publisher, a three-day trip to Nashville, tickets to the 2011 CMT Music Awards, a Gibson guitar and much more.